August 2012 - Do you like to design your own LEGO vehicles? This is the contest for you! There are two separate categories, one for teens/adults (link is to Facebook) and one for kids. To enter, submit a picture of your creation by December 1st, 2012. The winners will receive $1,000 and their designs will be featured in the upcoming film, LEGO: The Motion Picture. Enter for your chance to win a trip to the National Museum of Play and Toy Hall of Fame! Hatfield, PA – August 2012 – K'NEX Brands, the only US construction toy company focused on Building Worlds Kids Love™, is pleased to announce the launch of K'NEX'S "Win a Trip to the National Museum of Play and Toy Hall of Fame" Sweepstakes. From August 10, 2012 at 9:00 am EST through August 27, 2012 at 3:59pm EST, K'NEX fans can enter for their chance to win a trip to the National Museum of Play and Toy Hall of Fame. 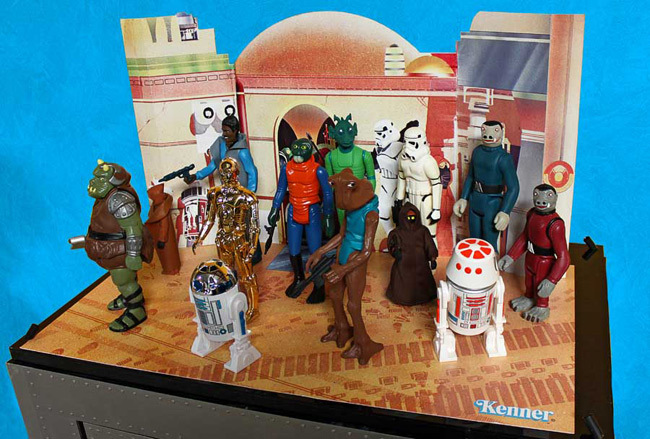 August 2012 - Gentle Giant is giving away the Jumbo Vintage Kenner Cantina Playset that was on display at the 2012 San Diego Comic-Con International. The contest is only for the diorama/playset, the figures shown in the picture are not included. To see how to enter, head over to the Gentle Giant blog and log in with your Facebook account or email address. 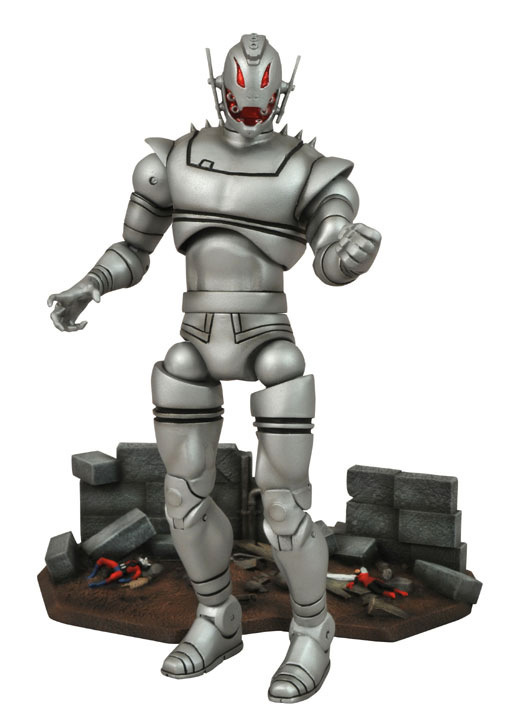 August 2012 - Ten years ago, the first Marvel Select figure from Diamond Select Toys arrived in comic shops. 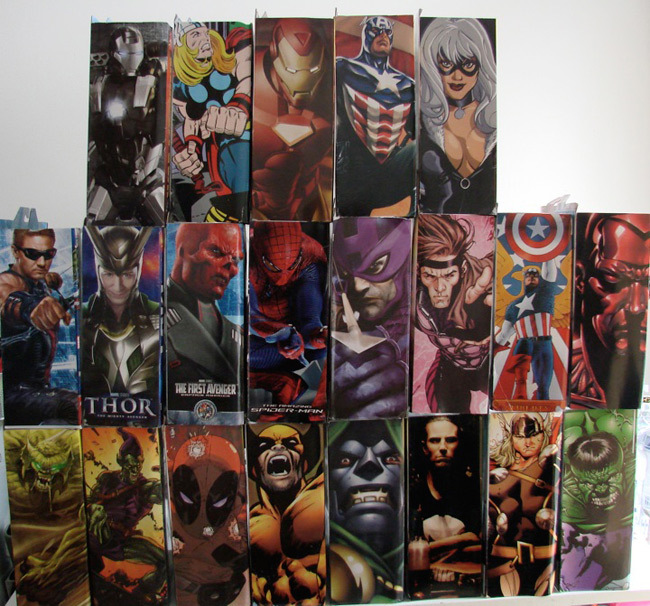 Depicting Ultimate Spider-Man, the 7-inch scale figure came with a large diorama base (a criminal webbed to a wall), and it was packaged in an oversized blister card that displayed the figure and all of its accessories. Since then, DST has made nearly 100 different Marvel Select figures, and to celebrate the line's tenth anniversary, they want you to be able to win one of every figure they have in their office! Contests Run Monthly Through December, 20 Chances to Win Each Month! Hatfield, PA, August 2012 – K'NEX, the only US construction toy company focused on Building Worlds Kids Love™, announced its eighth in a series of twelve contests, Mission: K'NEX 20 on 20, monthly "hunts" for secret codes on various K'NEX related web pages. Every month on the 20th day, through December 2012, K'NEX will be giving away K'NEX products to lucky fans! On the 1st weekday of every month a prize will be revealed and a new "mission" is assigned. Missions can be found on the K'NEX website: http://www.knex.com/20thanniversary/Mission20on20/ which directs participants how to find secret codes. Once a code is found, participants must return to the K'NEX site and enter the code. If correct, they are eligible to be entered for a chance to win a prize. On the 20th of each month, when the contest closes, winners will be randomly chosen from those eligible entries. Hatfield, PA, August 2012 - K'NEX, the only US construction toy company focused on Building Worlds Kids Love™, is celebrating the introduction of its new officially licensed Angry Birds building sets with an exciting "Find the Golden Egg Sweepstakes"! Enter for your chance to win a $500 Toys "R" Us ® Gift Card! July 26, 2012 - K'NEX Brands, the only US construction toy company focused on Building Worlds Kids Love™, is pleased to announce the launch of K'NEX'S "Win a $500 Toys "R" Us Gift Card" sweepstakes. From July 26, 2012 at 9:00am EST through August 9, 2012 at 3:59pm EST, K'NEX fans can enter for their chance to win a $500 Toys "R" Us Gift Card. "We are happy to give back to our K'NEX fans who have shown such great support for us over the past twenty years," said K'NEX President and CEO Michael Araten. For more information, to view official rules, or to enter the sweepstakes visit http://www.knex.com/20thanniversary/20BigPrizes/ToysRUs.php. No purchase necessary.